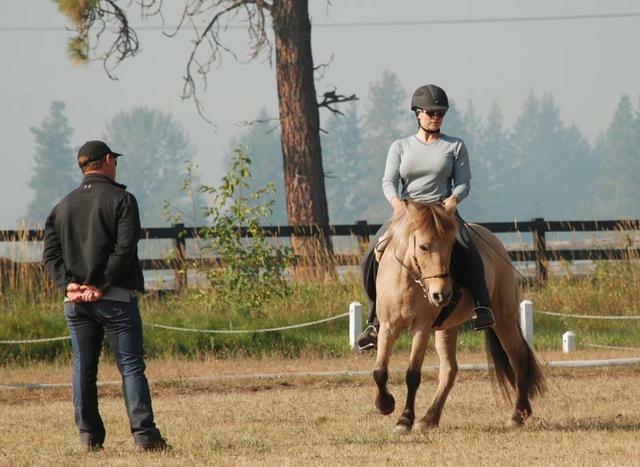 Here at Red Feather Icelandic Horse Farm, we endeavor to promote mental and physical balance in our horses and riders in order to create positive partnerships that strive towards peak performance in each pair's chosen path. Our Icelandic Horses have been selected and bred for their supple and powerful Tölt, kind temperament and amazing talent and heart under saddle. we would be honored to share them with you. We work hard to find the perfect horse for every rider. We have a variety of horses for sale ranging from untrained to more seasoned horses. If your perfect match is not at our farm our wide range of contacts throughout Iceland and Europe makes us perfectly suited to finding your dream horse. Education is at the heart of everything we do. We strive to provide systematic theoretical and practical education to ensure a fun and safe riding experience that suits the riders goals. We have a variety of educational opportunities for both youth and adult riders. Our qualified trainers create individualized training programs so that the horses attain peak performance in both mental and physical balance. Whether the goal is top competition and breeding evaluation or the ideal pleasure horse we look forward to finding your horses unique talents.